Hello again friends and future friends? Is everyone doing absolutely wonderful today? I hope so. 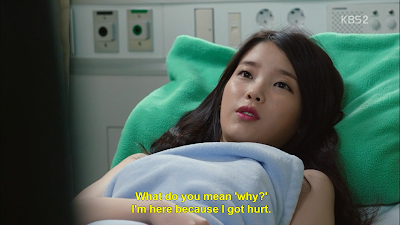 So we've come upon our sixth episode of Producer, which means that we're half way done already. Can you believe it? This drama is going by so fast. So let's do a recap of the episode and then I'll add my own thoughts, you know I can't keep them to myself! A lot happened this episode so we've got lots to talk about so bare with me. So we left off with Seung Chan confronting Joon Mo about what he remembered of Ye Jin's confession. Seung Chan knows he was lying, because the street cart lady told him that Joon Mo wasn't that drunk. Joon Mo admits to remembering, but says it's his choice to pretend like he didn't. They go back to the station to edit, but Seung Chan is mad at Joon Mo so he takes revenge in the small strange ways he likes to. Ye Jin is at home having dinner with her brother when Seung Chan sneaks out for a bit and asks her to meet him at the playground near their apartments. He looks torn but then tells her that he's certain that Joon Mo doesn't remember. He lies and says that cart lady told him how drunk Joon Mo is. Ye Jin is relieved and expresses embarrassment for this whole incident unfolding around Seung Chan. He reminds her that she's supposed to talk to him if she needs someone to talk to and that liking someone is nothing to be embarrassed about. Ye Jin fondly remembers how Joon Mo comforted her at the same playground when they were teenagers and she had to move out of her house. At Cindy's house she's in bed reading the book that Seung Chan gave her and going over her schedule with her manager. He goes over the extensive of list of things she has to do within the next week, one of which is a big event at KBS for which Ye Jin is going to be the Producer. Her manager explains how with big events they have staff from different shows helping out. She wonders if Seung Chan will be there and her manager thinks it's because he annoys her and she doesn't want to see him. Exasperated Cindy tells him to not read too much into what he says because he always reads the wrong thing. At work they've placed bets on how their show will score in terms of rankings. Where the other staff members intentionally give high guesses to be optimistic, Seung Chan is just too logical and guesses a 6.8 percent rating. 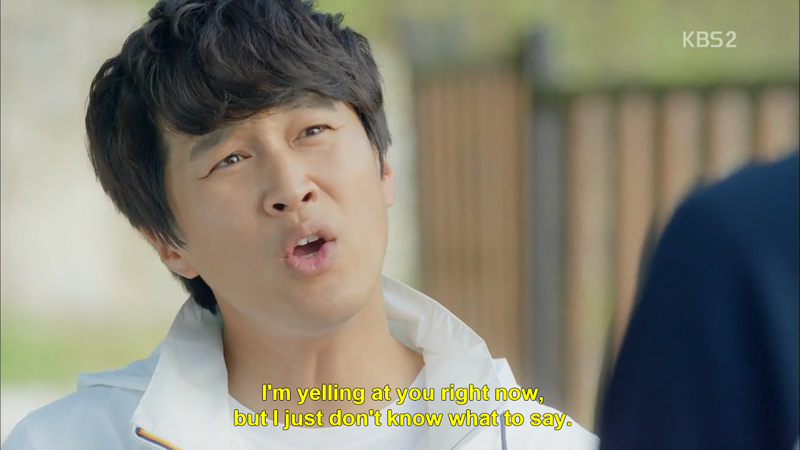 Everyone is annoyed at him, especially Joon Mo. Joon Mo says that their show is going to be a hit and the rest of the staff seems really upset that Joon Mo said this. Seung Chan's variety show fairy godmother kid explains that Joon Mo has a history of having really bad sense. That everything he predicts it's usually the opposite. 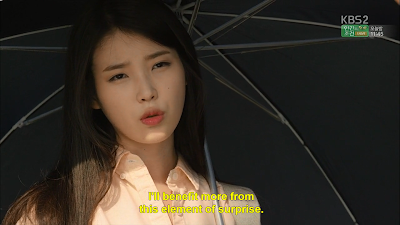 For instance he said that neither Lee Seung Gi or Suzy would ever make it in the business. The episode is about to air and Seung Chan's gone home to watch it with his whole family. He's a bit shocked when it's funny and is bored while watching the show. When Seung Chan shows up on the screen they're all surprised, but his parents get upset when it shows Seung Chan tying her shoes. Seung Chan's mom is convinced Cindy is an evil seductress. Cindy herself is watching the show on her phone and sweetly smiles at the scene between Seung Chan and her. Meanwhile at Joon Mo's house he and Ye Jin are watching together. Unlike Seung Chan's family, Ye Jin is laughing and tells him it's really funny. As they continue to watch Ye Jin spots an error in one of their subtitles, calling the city they were in by the wrong name. Joon Mo starts to freak out, because he knows this going to reflect really poorly on their show. As he's freaking out, Ye Jin steps out to take a call from his mom. She asks Ye Jin again to help her find him a woman and tells her that he didn't show up at the blind date and is now refusing to go. She goes back inside and after the show is finished the two of them sit out on the deck. Ye Jin casually mentions the blind date and Joon Mo says that he went. Not only that but he says he met up with her a second time as well. Ye Jin knows that he's lying so she takes his face in her hands and makes him tell her again. When he won't meet her eyes, that's all the confirmation she needs. She knows that he heard her confession and is choosing to pretend it never happened therefore rejecting her. He tells her that he did it because he knew it was a mistake on her part and he wanted things to stay comfortable between them. She gets really upset and goes to bed. The next day at work, it turns out Seung Chan won the bet and guessed the exact ratings they got. Everyone pays up begrudgingly and he seems a little embarrassed for getting the number right because it means they didn't do as well as they wanted to. But everyone else at the office seems to think that he's some sort of psychic now because he was so precise. Even the stingy paper lady gives him extra paper and asks if he sees anything for her future. Ye Jin tells Seung Chan that she found out that Joon Mo did remember her confession. He apologizes, but she tells him he didn't do anything wrong and she's sorry that she put him in the middle of it. She asks Seung Chan why he fell in love with his first love and he says it's because she was pretty, but has no other reason. She says that's what guys like-pretty- and she was never that to Joon Mo. Seung Chan tells her that she is pretty. Joon Mo has found out from Ye Jin's brother that she wants to move out and is looking for a place. He waits for her to return and tells her she doesn't need to move out, that there's no need for her to make herself uncomfortable. She says that it's more uncomfortable living there with things the way they are between them. He says fine out of anger and storms away. After a minute he feels bad and goes to resolve things, but she's already gone. She goes to spend the night at the office instead. The next day is the big event at KBS studios. As Cindy is arriving she runs into the charming and loveable Lee Seung Gi. Cindy wonders why none of the producers are coming to give her the run-down of the show (she's looking for Seung Chan). Her manager proudly tells her that it's because he thought she would want to rest and so he told them not to bother her. Ye Jin instead comes in and Cindy says it was a misunderstanding and she can send in an assistant PD. Ye Jin brings in Seung Chan to walk Cindy through everything. Seung Chan helps get Cindy ready by attaching her mic for her. He has to get really close and wrap his arms around her waist to do so and Cindy is quite flustered. He leads her to the lift to show her how the procession works. Seung Chan steps onto the lift and gives Cindy his hand to hold. She holds onto his hand as the lift starts to move. Seung Chan is so startled that he grabs onto Cindy's arms. Cindy is flustered into speechlessness at this point. He leaves Cindy on stage to go do more Producer stuff. Cindy closes her eyes and zones out. Ye Jin directs everyone to set up the stage and one of the rolling stage pieces on a tracks starts rolling right toward Cindy. 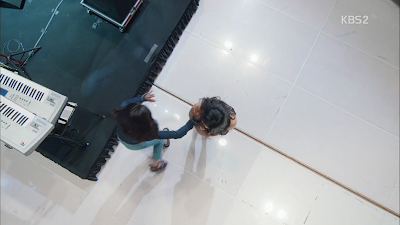 Ye Jin sees that it's about to hit Cindy so she runs and pushes Cindy out of the way. Ye Jin gets hit by the stage. Seung Chan gets word that Ye Jin had to go to the hospital and rushes there. He finds Cindy is the one in the hospital bed and asks why she's there and where Ye Jin is. Cindy seems hurt by this. It turns out that when Ye Jin pushed Cindy out of the way she pushed her into the hole where the lift was and Cindy was even more injured than she would have been had Ye Jin not pushed her. Ye Jin walked away with only a bruised arm. Seung Chan finds Ye Jin and tells her he's relieved she's not hurt. Tae Ho and the Director muse over the accident and how it would have been better if Ye Jin let the stage hit Cindy, but they can't say anything since Ye Jin was trying to save her. They wonder whether or not the Byunpire (Cindy's CEO) will sue them. Joon Mo gets word that Ye Jin was in the hospital. Even though he's in another city he rushes back to Seoul as soon as he finds out. Seung Chan tells Ye Jin that Cindy will have to stay a few days to get some tests. Since he knows this he must have stayed with Cindy long enough to check on her condition. They go to Cindy's room together and Cindy seems annoyed to see them and down overall. She says that he knows Ye Jin didn't do it on purpose. Ye Jin explains that she was trying to save her and Seung Chan tells Cindy that Ye Jin is sincere and Cindy cuts him off and tells them it's fine. She doesn't resent Ye Jin and knows she was trying to save her. That she even got some time off and some sleep because of it. The Byunpire comes in while they're talking and goes right up to Cindy's manager and slaps him asking what he was doing when Cindy got her. Cindy defends him and says it was her fault she got her. The Byunpire tries to comfort Cindy saying she was only coming this late because she had to take care of Cindy's schedule and that she rescheduled most of the things but that she couldn't miss the event in Japan in a couple days. Ye Jin steps in on Cindy's behalf and tells her that Cindy needs at least four days rest in the hospital for the tests. Seung Chan adds that if there's a medical diagnosis that it's wrong to ignore that and exploit Cindy for profit. Ye Jin says that she's got a big company and can afford to let Cindy rest for a few days. They leave and we see a montage of things happening: Ye Jin grabs Seung Chan's hand as they make their way through Cindy's fans, the Byunpire goes over Cindy's new schedule with her, Joon Mo is on a taxi frantically trying to call Ye Jin, Cindy's manager rubs his face and looks out the window sadly. The montage ends with Cindy lying in bed crying. Joon Mo finally makes it to the hospital as Ye Jin and Seung Chan are leaving. He sees that Ye Jin seems to be relatively fine with a patch on her arm and he asks how Cindy is. He expresses annoyance that Ye Jin did that to his biggest star. Ye Jin doesn't know that he rushed to the hospital for her sake and thinks he's there instead only for Cindy. He tries to ask how her arm is, but she's mad at this point and walks away angrily. As soon as she's out of sight she starts to cry. The episode ends as Seung Chan finds her and holds her. So I have a lot of feelings about this episode, let's get to them. -Watching drunk Seung Chan while he thinks he's safely taking Joon Mo and Ye Jin home is hilarious. He's falling over bushes but accusing Joon Mo of staggering. Lol. -Seung Chan's pranks are so childish, but I like them because they make me laugh every time. -What's up with the paper lady? Is she the owner of the company? I feel like she is somehow based on how closely she guards the supplies and the fact that she has money. -Why is Cindy's manager so scared of her when she doesn't really treat him all that bad? She only expresses exapseration when he does something stupid, but he is kind of senseless. -I think it's hilarious that Tae Ho has to beg to watch TV in his own house. -Seung Chan's family are so supportive of him, yet they can't pretend to like his show? -Ye Jin is a good friend and in those moments she's really likeable, but I find her super obnoxious when she's doing anything else. -Joon Mo is not very tactful at all. He really doesn't know how to handle people's feelings as is evidenced from the way he handled the older actress and the way he treats Seung Chan and especially his relationship with Ye Jin. -I didn't expect Seung Chan to be so shallow as to only like his first love because she's pretty-whom he's seem to have forgotten btw. I think he's growing, though. -Seung Chan might be the only person in the world to not like Lee Seung Gi. -I loved the scene on the lift between Cindy and Seung Chan, so adorable. Still rooting for the Umbrella Couple. -Okay now that I've gotten all my other thoughts out of the way let me talk about the stage incident. First, I was proud of Ye Jin for trying to save Cindy, although she clearly pushed her the wrong way. But friggin' Seung Chan just made me mad. He couldn't have expressed any empathy towards Cindy when he found her in the hospital? You've spent time together, and you've had sympathy for her before but when you see her lying there in a hospital bed you can't at least ask if she's okay? Cindy clearly took notice of this and I think she felt more alone than ever. She was very gracious toward Ye Jin. Even though Ye Jin tried to save her it would have been very easy for anyone to be upset when she caused them greater injury. I was a little surprised the Byunpire didn't go off on Ye Jin. But I have a feeling that might come up next week. -I'm going to try to give Seung Chan a little bit of grace and assume that he stayed to make sure Cindy was okay before going to find Ye Jin. Isn't it human courtesy to be concerned about someone who was seriously injured when you know your friend wasn't? Okay, we had a lot to cover this week, which leads me believe that there's going to be a lot more going on from here on out. I look forward to see where next week brings us. Stay tuned for the DramaClub's view on this week's episodes tomorrow and in the mean time catch up with the recaps for all the previous episodes. Until next time! This week's DramaClub posting is now available. Check at out as we talk about the outcasts and unrequited love. Hey there friends and fellow friends! How's everyone doing? Spring is settling down and summer's greeting us soon. It's getting hot outside and with Producers. Let dive right in and see what's been going on. When we last left off our friends, Seung Chan and Cindy were out in the woods and it started to rain. Seung Chan had pulled out the umbrella to cover him and Cindy. Well, the moment was only fleeting as he saw the cameraman getting wet along with the camera. He goes to cover the camera guy and leaves Cindy out in the rain. They get to the campsite and Seung Chan sets up her tent for her, but then makes her play a game for her supper as was originally planned. Cindy loses the game, but then Seung Chan gives her a chance to still get her supper. If she can call a friend and they cheer her on without being prompted she wins. You can tell by the look on Cindy's face that she doesn't have anyone to call. She ends up calling a member of her girl group who scoffs at Cindy and tells Cindy to leave her alone. Cindy is humiliated and has to go without dinner. Seung Chan is worried about her sleeping outside so he gives her the book and music he brought for himself as well as his baseball cap. Although still annoyed, she seems touched. The next morning for breakfast, Cindy gets paired with Seung Chan and has to play a trivia game to eat. All of Seung Chan's clues are awful so Cindy ends up not getting breakfast either. CEO Cruella (Cindy's CEO) reams out Joon Mo for his treatment of Cindy and tells him how cruel he's being for starving her and not letting her eat anything the day before either. Joon Mo didn't know that Seung Chan hadn't let Cindy eat. Joon Mo finds Seung Chan and yells at him- telling him he should have had the sense to know that since they got lost in the woods and were hiking, that she needed to eat. Seung Chan apologizes and the camera man then explains to Joon Mo that Seung Chan felt bad that Cindy couldn't eat so he didn't eat either. Joon Mo doesn't accept that as an excuse and instead tells the camera guy that he should have known better too. Joon Mo's not wrong on this point. Joon Mo and Seung Chan go back to the office briefly before heading out to a celebration dinner with the cast and crew. Ye Jin finds out about it and tells Seung Chan he shouldn't go because he's not supposed to be drinking in case he gives away her secret. He goes anyway. Ye Jin decides to go to the same restaurant the party's at with her own staff and runs into Cindy as she's going in. Cindy pretends not to recognize her without her make-up, goading Ye Jin. Ye Jin goes off to Joon Mo and Seung Chan about how obnoxious Cindy is, but neither seem to agree. 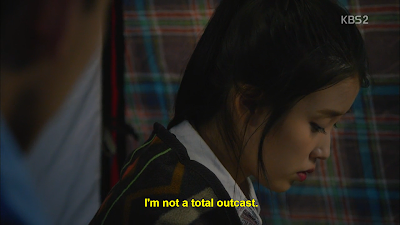 Eventually Ye Jin and Cindy end up at the same table and Ye Jin keeps bringing up how upset she is that she has to go to the KCC. We know she only has to do this because of the risque outfit Cindy wore. Ye Jin brings it up over and over and Cindy eventually says it must be because of her. The staff though Cindy did it out of spite because Ye Jin yelled at her, but Ye Jin is caught in a lie because she never yelled at Cindy that day. Rather, she bargained and pleaded with Cindy. Ye Jin, upset from her interactions with Cindy has a bit too much to drink and is drunk before they leave the restaurant. After everyone parts, Ye Jin convinces Seung Chan and Joon Mo to go for a second round at a street cart. The three sit there drinking and are all pretty drunk. Ye Jin, who is known for not being able to keep a secret when she's drunk, tells Joon Mo that she likes him. When she wakes up the next morning she's mortified. One of Joon Mo's drinking habits it to black out when he's drunk and not remember anything, so she doesn't know if he remembers or not. She prays he doesn't. She comes out of her room to find Seung Chan sleeping on the couch. They all have breakfast together and Ye Jin can't seem to tell if either of them remembers. She grills Seung Chan at work to learn he did hear her confession. She enlists his help in trying to figure out whether or not Joon Mo remembers. Seung Chan agrees. Ye Jin says it's important because if he remembered and he's pretending not to, that's a definite rejection. At work they've started the editing process and so everyone is super busy. As the newbie at work, Seung Chan's job is to make sure everyone gets their food which is a hard job because they're super stressed and super picky. All the while he's trying to get info from Joon Mo. From the questions Seung Chan asks him, it seems that Joon Mo doesn't remember anything about the night. During the editing process, Joon Mo is piecing together the clips trying to make it funny when he realizes that the clips of Seung Chan helping Cindy are good and should be included in the show. He asks Seung Chan if he has any objections and he doesn't. Is he thinking the same thing Cindy is? That they'll make a much more exciting match for the viewers? CEO Cruella, who Joon Mo calls the Byun-pire, brings a ton of food for the variety team while they're editing to try to curry favor so they'll make Cindy look good in production. 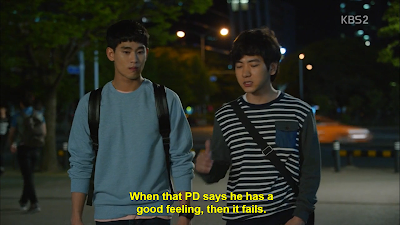 Seung Chan thinks he's off the hook for getting the PDs meals, but of course Joon Mo hates the Byunpire so he makes Seung Chan go to a food cart to get him something. Joon Mo realizes that he sent Seung Chan to the same place they drank at the night before and tries to call him, but Seung Chan left his phone so he runs after him. When Seung Chan gets to the cart the lady mentions how drunk he and Ye Jin were the night before. When he asks about Joon Mo she says he was fine compared to the two of them, which meant he wasn't drunk enough to forget Ye Jin's confession. The episode ends as Joon Mo reaches Seung Chan and Seung Chan accuses him of pretending to forget. So this episode was full of emotion and do you know what I think? -Seung Chan has no sense. He only sees things from a logical standpoint, but lacks commonsense. He left poor Cindy to bring drenched in rain to cover the camera man and didn't even think of her feelings. -CEO Cruella was completely right in everything she told Joon Mo about how he treated Cindy. He should have just fessed up about the mistake. -What kind of a variety show gets their antics from making celebrities play games and starving them if they lose. I don't find that entertaining in the least bit. Do they really do this on 2 Days, 1 Night? I guess I need to watch it more. Or conversely if they do, not watch it at all. -Ye Jin has the weirdest taste in fashion. It's a very unique style, though, so you have to applaud her for that. -I'm finding Ye Jin really annoying right now. She's super controlling, which really bothers me. She's going on and on and on about going to the KCC. I find it really obnoxious when people feel the need to make their problems everyone else's. -Even though she was drunk, I do have to give Ye Jin credit for admitting her feelings. -Seung Chan and Ye Jin's brother should become best friends. I think they'd be funny together. -If Ye Jin's drunk habit is to insist on paying, wouldn't everyone want to drink with her? -I think it's funny how serious Seung Chan takes his spying duties. -When Kim Jong Kook''s character started a strike against the paper lady, I totally wanted to join! -This drama's already half way over, but we've hardly gotten anywhere in terms of romance. I fthey don't step it up, I feel like I'm going to have a lot of unsatisfied feelings. -I don't think I can ever root for Seung Chan and Ye Jin as a couple. 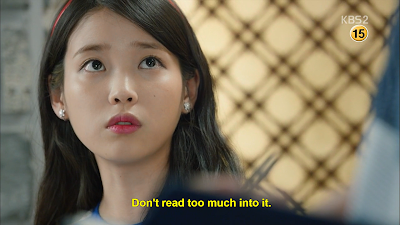 He has a little too much reverence for her as his sunbae and she's too bossy and the combo creeps me out. Of course, feelings and relationships could change but as they are no, I'm completely against it. -Okay, Byunpire is a way better nickname for Cindy's CEO than CEO Cruella. I concede and therefore will be referring to her as the byunpire from now on out. So those are my thoughts on Episode 5. Keep your eyes peeled tomorrow for my Episode 6 recap and on Monday for the DramaFever Drama Club posting. In the meantime you can catch up on my past episode recaps below. Welcome friends and fellow friends! Episode 14 made me laugh, it made me cry, and it made me think. Anyone else feeling these feels? So let me summarize what happened and then I'll add little of my opinion. Ji Na goes and visits Mal Sook at work in the morning after staying out all night because she was mad that Mal Sook conspired against her with Hee Cheul. Mal Sook revealed that the reason Hee Cheul moved them was because when he had visited their apartment, Mal Sook had seen a guy creeping around on their deck. Hee Cheul chased after him but the guy was already gone. Mal Sook was scared and he was genuinely concerned for their safety. Ji Na feels bad that she scolded Mal Sook when she was just scared. Neither of them know it was the Senator's spy that was the creeper, however. Hee Cheul is at the same temple where he took Ji Na on a date. He runs into an adorable temple boy who remembers him and gives him some great advice. Hee Cheul asks who should he choose between the woman he wants to take care of when he succeeds and the woman he needs to become successful and the boy answers that you can't change your heart with your head. He's a smart boy. While Hee Cheul is at the temple he gets a call and says he'll come back into town right away. Tae Woon has arrived at the Chairman's house, where he's come to live while he competes for CEO. We find out that he used to live there as a child, which makes sense - the chairman's his only relative, and that the Chairman kept his room exactly the safe. He visits his room to find his old things, including the kite that Ji Na helped him get out of the tree as a boy. We see Ji Na waiting in the park and Hee Cheul comes to join her. She apologizes for being so harsh about the apartment, not knowing he really was being thoughtful and tells him that she'll accept it, but would like to pay him back in any way she can. He asks if she can just like him back and she tells him she can't. She's finally declared her feelings. He's disappointed, but he accepts it and says they should end it. We catch up with Hye Mi, who is leaving her house and runs into her father. She tells him it's Hee Cheul's mother's death anniversary. Oh no, does that mean Ji Na broke up with him the same day his mother died? That has to hurt for Hee Cheul. Anyway, she sets off to go pay her respects. Meanwhile the chariman has woken up and he and Tae Woon eat together. The chairman looks incredibly happy to have Tae Woon there. It's really quite touching. Hye Mi arrives at Hee Cheul's mom's memorial and starts to have a heart-to-heart with her about how she's going to trust Hee Cheul and stick by him. Weird, since she betrayed him the night before, but whatever. Hee Cheul comes and overhears her talking to his mom and seems mildly touched. After he leaves he asks him mom if he should come together with her the next time. Tae Woon takes the chairman out for a walk after dinner. The Chairman explains to Tae Woon that the reason he changed his mind about Hee Cheul is that he realized he was too much like him. He knows that Hee Cheul is too ambitious and can lose sight of what's important because of it. He says Tae Woon can do whatever he wants after he wins, but he wants him to stop Hee Cheul. The Chairman then collapses and has to be taken to the hospital and Tae Woon learns about the full extent of his sickness and the fact that he doesn't have much time left. Ji Na goes home and makes up with Mal Sook and they have dinner together. Afterward, she calls Tae Woon. It's been a couple days since they've seen each other. He leaves the hospital for a bit to go and see her and they both are extremely excited to see one another. Tae Woon tells her about what's happened- his relationship with the chairman and how he'll be running for CEO. He's worried she'll be mad, but of course she already knew about the fact that he's the chairman's nephew. She tells him she's not mad and that her and their whole team will be rooting for him and helping him in any way that they can. Tae Woon tells her that he needs her to meet someone with him in a couple days. He was doing some more research on the company they're working with and found out that they may have taken the idea from someone else and he found that person. She agrees. Hmm, I know someone else who's idea got stolen. The next day both Hee Cheul and Tae Woon go to the board meeting with the director where they sign agreements officially starting a competition between the two for CEO. The episode ends as Tae Woon calls Ji Na to find out that she's close by the coffee shop they're meeting at. He goes in and greets the inventor they are meeting who turns out to be... you guessed it, Ji Na's dad. -I've got to give Mal Sook credit. She admired the fact that Ji Na liked Tae Woon better since it meant she wasn't after the money, but genuinely went over to team Hee Cheul when he displayed a chivalrous personality. That's fair. -Okay, Hee Cheul did have a good reason for moving Ji Na. Still, he should have asked her permission. Even if he knew she would say no, it's very arrogant to do something like that. -I love how the Chairman's house is not gigantic. It's good-sized, but not boastful. He shows good sense. -As soon as Tae Woon set foot in the chairman's house I was holding back the tears even though nothing sad had happened. It felt so healing for him to go back there and rebuild the relationship with his uncle. Just beautiful. -I was unexpectedly heartbroken for Hee Cheul when Ji Na told Hee Cheul she didn't like him. I've had a lot of mixed feelings about this guy, but I guess I had more affection for him than I realized. Also, Hee Cheul impressed me by how cleanly broke things off with Ji Na, although it clearly hurt him. It might by the most sensible and impressive thing he's done. -Double props to Hee Cheul for the fact that Ji Na broke up with him on his mom's death anniversary and he still handled it pretty well. -I thought Hye Mi went to Hee Cheul's mom's memorial to curry favor, but it looks like she actually went there to see his mom. If so, good job Hye Mi. You're finally acting like a human. -Again, I'll point out that Mal Sook is a really great friend. She cooks for Ji Na after she returns home and always gives her honest advice. I remember how I didn't like their friendship at first, but I love it so much now. -Anyone else think Hee Cheul was going to push the chairman down the stairs when he was pushing him around in his wheelchair? -I don't want Tae Woon to lose, but I have to admit I can't see him being a good CEO. Ji Na, on the other hand, would probably be a fantastic CEO. So there we have it. Just two episodes left and last week is our last. I know, I know, I'm sad too. Watch out for our Drama Club post tomorrow and check back next week for the last two episodes. You can catch up on the rest of the series below. Hey friends and future friends! I hope you all had a splendid week. We're getting close to the end of this series, can you believe it? Feels like we just started. Well let's get right into it and I'll add some of my own personal brand of commentary at the end. Last week we ended with Hee Cheul coming to visit Ji Na at her place after she ignores his calls. She's shocked and embarrassed to see him. He forces her to get something to eat with him and she's still in her sweaty workout clothes. Gross! 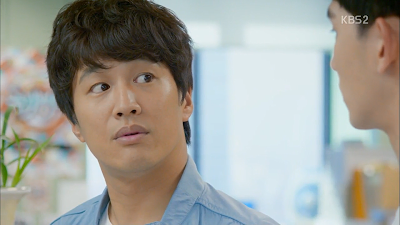 Ji Na is so confused and embarrassed that she hardly says anything the whole time and he does most of the talking. He says that he still likes her even though she lied. He tells her that he is going to make her smile more often and that he doesn't like to see her cry. Tae Woon has gone to visit his uncle, the Chairman, who is not doing so well health-wise. His assistant tells Tae Woon that the chairman refuses to go to the hopsital but he thinks if Tae Woon agrees to participate in the competition for CEO then the Chairman will agree to go to the hospital. Tae Woon doesn't answer, but you can tell he's considering it. Hee Cheul walks Ji Na home and as he leaves we see someone taking pictures of the two of them. Who's behind this- Hee Cheul himself? The Senator? Those were my first two thoughts, but it's actually Hye Mi. The Senator's spy brings her the pictures, but then the Senator finds out that Hye Mi is spying on Hee Cheul. The Senator knows Hee Cheul's spending time with Ji Na is part of the plan and he tells his spy not to listen to Hye Mi anymore because he's worried she's going to mess things up. Tae Woon goes home where his friend, the Weirdo, and the strange neighborhood girl come in with pizza and snacks to have a party. They discuss their futures and it turns out the neighborhood girl has auditioned for a singing show and made it in-that's why she hasn't been around lately. And Weirdo has decided he's going to join the circus and give up on the bar exam. Mal Sook wants to be proposed to by a guy hanging upside without a safety net. He tells Tae Woon that he needs to prepare a special proposal as well or he'll be nagged for the rest of his life. When Ji Na gets home from dinner she's initially annoyed with Mal Sook for telling Hee Cheul she lived there. Mal Sook can tell Ji Na is on the fence about Hee Cheul and she chastises her for being so finicky. Ji Na confesses that she has some real feelings for Tae Woon. Mal Sook warns her to stop her feelings for Tae Woon and turn toward Hee Cheul before it's too late. Just as Ji Na was getting close to a decision about her heart, Hee Cheul's confused her even more. Ji Na goes to work the next day to find everyone packing up their stuff. Apparently they're all moving to a new office and Ji Na was the only one who didn't know because she didn't read the bulletin board. 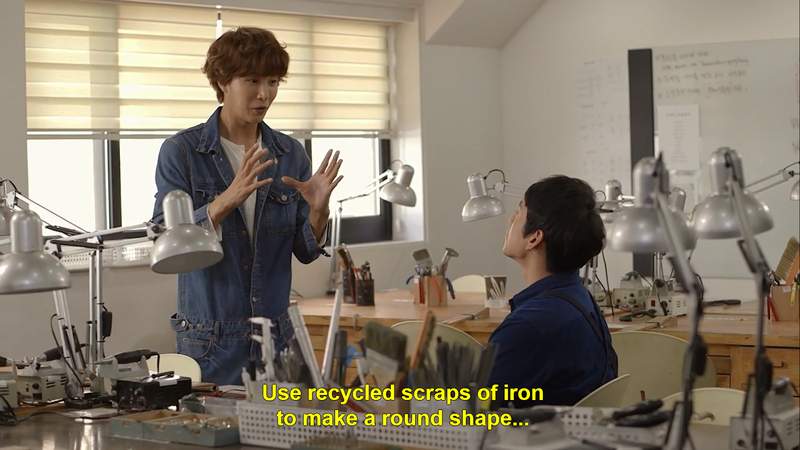 Meanwhile Tae Woon is describing a custom piece of jewelery he wants designed to a friend that works in some sort of manufacturing field it appears. He's designing a ring...hmm, wonder what that's going to be used for. As he's going back home he and Hee Cheul come across each other. Hee Cheul tells him he should forfeit the race and not even bother trying to be CEO. Back at the office Ji Na seems kind of sad about moving to a new location. Her and Hye Mi have a very melancholy goodbye and Ji Na thinks it's odd because it feels like a final goodbye. Her new teams goes to their new office and shares a meal together. Oddball and Mr. Eccentric are being very sweet and flirty with their lady friend counterparts and Ji Na looks on them a bit of sadness. It's hard to say for sure what she's thinking, but personally I think she's missing Tae Woon. On Ji Na's walk home that evening she's being followed. We can see that it's the Senator's spy, but she hasn't met him yet. She thinks she's going to be attacked, but then he walks right by her. I'm still nto sure what was doing. Is he still spying on her? For who this time? When she enters her apartment all her stuff is gone and there's a note from Mal Sook with an address. Understandably she's confused and so she goes to the address where she finds Mal Sook and all her stuff in a significantly nicer apartment. When Ji Na interrogates Mal Sook she finds out that Hee Cheul insisted on moving them because he didn't think they were safe. Hee Cheul gets a call form Ji Na and she starts to ream him out. He says he'll come meet her, although he seems a little nervous. Ji Na's a bit scary when she's mad. She doesn't like the display of what she thinks is cockiness. She's incredibly independent after all. Hee Cheul explains that it's because he wants her to be safe and the dark alleys where she lives makes him nervous. Ji Na tells him to return it to the way it was. And for the first time we see Hee Cheul break his calm demeanor and go into macho mode. He tells her very passionately that he'll let her move when she finds some place safe. I love this side of Hee Cheul. Where has he been this whole drama? Ji Na is speechless. She sure has a thing for protective men. She had the same response when Tae Woon was protective of her. Hye Mi has gone to visit Tae Woon. She reveals that Ji Na "lied" about her education to get the job. Although, I don't think it's fair to count a squished spider obscuring her resume as an intentional lie. Hye Mi tells Tae Woon that if he beats Hee Cheul in the competition for Chairman that she won't tell anyone about Ji Na. Tae Woon asks why she's trying to help him beat Hee Cheul and she tells him that it's because Hee Cheul won't need her if he wins and so she's trying to keep him for herself. Tae Woon seems torn. 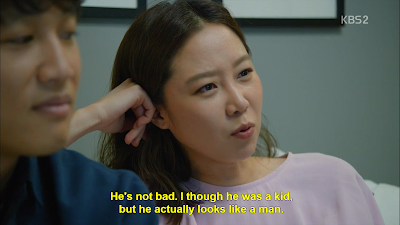 When Hye Mi leaves Tae Woon sees a picture of Ji Na as a kid attached to her resume and realizes it's the same "boy" who helped him get his kite when he was a kid and it only makes him more fond of her. The episode ends as we watch Tae Woon ceremoniously pack up some of his more childish belongings into a box while wearing a suit. He leaves the flower shop with a sense of determination. Okay, so that's what happened and do you want to hear what I have to say? -I don't think I've ever seen Ji Na as quiet as the scene between her and Hee Cheul at the restaurant. She didn't say more than two words at a time. That just shows how conflicted she is. She doesn't even know what to say, which is completely uncharacteristic of our quick-witted heroine. -Why does Hye Mi have Hee Cheul followed when he's already told her he's meeting up with Ji Na? It seems kind of pointless. -I was honestly expecting Hye Mi to go crazy on Ji Na and horribly sabotage her somehow. I think I would feel more easy if she had. Now I'm just nervous as to what Hye Mi's planning. Although now she seems more hurt than jealous so maybe that why she's changing tactics. -Tae Woon and his friends party just how I like to -with pizza! You can't go wrong! -Mal Sook has some weird proposal demands. Hanging upside down without a safety net? Yet Weirdo doesn't seem put off by at all; he's actually kind of into it. -Mal Sook may seem shallow by chastising Ji Na about liking Tae Woon, but she's actually a good friend. Ji Na was the one who said she wanted someone successful so she could be a person others envied. Mal Sook was the one who chose love over money . Weirdo has no money and no job. Well, I guess he does now since he's joining the circus. -You're telling me everyone in the office has known they were moving, but never once talked about it? Not even in passing. That's a bit strange. Also, what's the point in moving offices. I'm still unsure. -I'm really nervous that Tae Woon is going to propose. Although I do want them to be together, I feel like it's waaaaayyyy too soon in their relationship-even by Kdrama standards. Especially because they're not really even dating. - Why do Hee Cheul and Tae Woon stop in the middle of an intersection to have their manly stand-off/intimidation. That's just dumb. -It might just be me but I think Hye Mi's going to miss Ji Na. Even if she hates her sometimes, I don't think even Hye Mi can deny that Ji Na is loveable. -I would watch an entire drama with just Oddball, Mr. Eccentric, and their ladies. Can someone make that happen? -The fact that Hee Cheul moved Ji Na without her permission absolutely grossed me out. 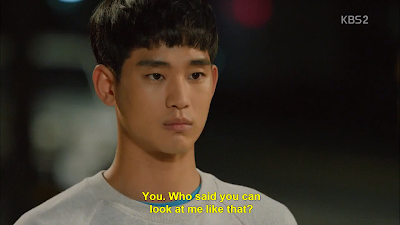 It was by far one of the creepiest thing any second male lead has done in a Kdrama. I didn't find it romantic at all, but really controlling. -It's really ridiuclous that they can even accuse Ji Na about lying about her education when the resume they have (which she gave them) clearly lists the schools she actually went to. It was Hee Cheul's fault for being so uptight that he continued on with the interview even though there was a dead spider covering half of her resume. -At first I thought Hye Mi was asking Tae Woon to become CEO to test Hee Cheul's affection, but it turns out she's just manipulating him instead. Nothing says love like manipulation. So that was was Episode 13. Watch out for Episode 14 some time between now and tomorrow night. You can find the rest of my recaps for this series below. Hi friends and future friends! Episode 4 of Producer is where our character dynamics begin to reveal themselves. What did you all think of the episode? Well, I'll recap it quick and then end with my own commentary at the end. So we left off with Seung Chan as he knocked on the door of Ye Jin and Joon Mo's shared apartment and then passed out as Ye Jin caught him. She brings him inside and lets him pass out on the couch. When Joon Mo comes home he's also drunk. 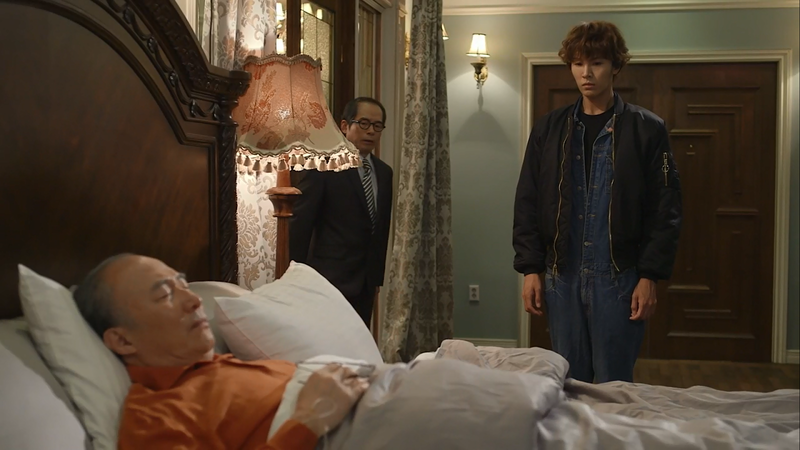 He wakes Seung Chan up and Seung Chan accuses of him of being a two-timer before passing out. When he wakes up the next morning Ye Jin and Joon Mo feed him the breakfast of Hotteoks that he brought and inform him that their relationship is strictly platonic. Although, you can see the heartbreak on Ye Jin's face when Joon Mo emphasizes multiple times that they are just friends. Seung Chan leaves their apartment and runs into his mom and his sister. His sister asks him to get one of the producers for the health program to go to her husband's office so they can get publicity. And then his mom grills him on what he was doing spending the night at his co-worker's when they live right across the street. Joon Mo hears back from JYP who says that he'll give his biggest star to 2 Days, 1 Night- himself. So it's a no-go on Suzy and Joon Mo is super frustrated. Cindy is meeting with her CEO aka CEO Cruella and tells her that she wants to do 2 Days and 1 Night. When Cruella asks why, Cindy repeats the facts that Seung Chan told her while trying to convince her. Cruella says she can do any other variety show, but Cindy insists on 2 Days and 1 Night and tells the CEO she owes her because she's always done everything she says before this. She calls her mom and for a brief moment we think that she is Cindy's mom, until Cindy says "that's what I used to call you when I first came here" and Cruella responds that she's "like a mom" to Cindy. Cindy's manager is surprised that Cindy is choosing to do the show because she's so high maintenance. Cindy disagrees and says she's super easy-going. Lol. At work, Ye Jin is still paranoid that Seung Chan is going to tell everyone about her and Joon Mo living together, so she approaches him one more time to make sure he understands. She then takes him out to lunch and tells him that if anyone finds out she'll know he leaked the information and she won't pay him back. On their way back to work Seung Chan reveals that he was concerned because he thought Joon Mo was two-timing his girlfriend, Hye Joo (Seung Chan's first love). When Ye Jin tells Seung Chan that they broke up, he can't hide his excitement and Ye Jin can tell right away that he likes her. When Ye Jin gets in the building she gets a summons from the KCC (remember, the really strict committee from episode 1) because of Cindy's outfit. When Ye Jin realizes that Cindy is supposed to be on Music Bank again this week, she lets Cindy's people know that Cindy is banned. The manager comes to visit Ye Jin and asks her to let it go, but Ye Jin is upset that CEO Cruella has not even acknowledged this issue and refuses to back down. She thinks eventually they'll come and apologize. CEO Cruella does come to KBS studios, but for a different reason. She goes to see the president and she lets him know that Cindy has agreed to do 2 Nights, 1 Day, but she has some strange conditions: no water immersion, no soup, and no filming past midnight. Instead of being grateful, Joon Mo is upset at her conditions. They barter back and forth until they agree on water immersion up to her thighs, hard boiled foods, and filming until 1:30 am. The 2 Days, 1 Night staff is really impressed that Seung Chan got Cindy to agree to join the show and says it must be because she thinks he's handsome and this makes him blush adorably. He gets a call from Cindy who is waiting in her van out in the parking lot. He goes out to meet her and she tells him that she did the variety show because of him and because of this he must make sure to pay special attention to her. After he leaves she calls Joon Mo down and tells him the same things. She's playing both of them. Joon Mo and Ye Jin walk home from work together and she has to stop by the security office to get a package. While she's doing that Seung Chan comes home and sees the two. Ye Jin asks Seung Chan about how he got Cindy to agree and while they're talking Joon Mo gets a call from his mom trying to set him up on a blind date. Ye Jin suddenly snaps at Seung Chan in the middle of his story, but he can see that it's because she's upset about Joon Mo's blind date. They both have each other pegged. Seung Chan carries Ye Jin's package for her because he remembers that she hurt her wrist trying to move a car out of the way. Joon Mo goes back to work to pack. They have to head out for filming the next morning. He's getting advice from another PD about the type of things to bring only to discover he's bringing all the wrong things. He doesn't need toothpaste and those types of things, he needs cup ramen and fish sauce !?! Oh the life of a Producer! Ye Jin shows up and tells him he needs other things too. She takes him to the store and helps him get the things he'll need-especially the ones that will be beneficial for Joon Mo like instant coffee. Seung Chan tells her that she's a good friend. She thinks he's buttering her up, but he's sincere and it helps bring them a little closer together. The next morning on shoot at 2 Days, 1 Night they come to Cindy's house to wake her up with what is supposed to be a funny gag, but her manager's already clued her in and instead of being funny it just seems kind of sad that they sprayed her with water. When they arrive on set Cindy as well as the queen, 2NE1's Dara, and the other four idol contestants show up. Dara is upset that Cindy has been cast because she thinks it'll make her look bad so her and the other contestants team up against Cindy. When it comes time for the guys to pick who they want to partner up with, no one picks Cindy. So she ends up having to walk to the site with Seung Chan while everyone else participates in the games. Her manager thinks she's going to be upset, but Cindy says it's good. Her plan is not to partner up with any of the idols, but instead with Seung Chan. She thinks it'll make her seem even more relatable and likeable if she pairs up with someone like him. The other cast members are at the location and when CEO Cruella finds out that Cindy didn't get chosen she rushes over and yells at all the male cast members for not choosing her. She thinks Joon Mo did it on purpose, but he assures her it's just because no one liked Cindy. When Ye Jin wakes up she finds that Joon Mo prepared her breakfast and uncapped all the bottles for her. Be still, my heart! Joon Mo contacts Ye Jin to meet up. She thinks Joon Mo is dating a girl because he doesn't want her to come to his house and he changed the passcode, but Ye Jin assures her he's not. Joon Mo's Mom wants Ye Jin to set him up with someone young. Afterward Ye Jin meets up with her brother and they eat Ramen together at a convenience store and he reassures her, tells her that she needs to marry Joon Mo and that she can make it happen because a guy has to be at least a little interested in you to even be your friend. Seung Chan and Cindy start their hike through the woods and Cindy suggests they play rock, paper, scissors to see who has to carry the others' bag. She tells him she's going to pick scissors and he chooses rock. She's shocked. Cindy had assumed he'd be gentlemanly and choose paper so that he could carry her bag. But now she's stuck. She's on camera so if she doesn't carry his bag she'll only look bad. She carries his bags and they trek on for a long time. It gets dark and they've spent hours in the woods and although she doesn't show it on camera she's frustrated. When the cameraman stops to change the battery she chastises Seung Chan for getting lost and making them suffer and explains how she has to carry the bags. He feels bad, he obviously didn't think about how she would look. As they're standing there it begins to rain and he covers her head with his hand and then grabs the umbrella from her pack to shelter them both. She seems shocked and touched and that's where our episode ends. -Ye Jin and Joon Mo are powerful when they combine forces. Even I felt a little scared when they were lecturing Seung Chan. I think they would make a fantastic couple and clearly have the history and chemistry to make it work. I'm shipping them. It's been declared. They're my first OTP. -Seung Chan's family may be a bit annoying, but they all seem to genuinely care about him. -It seemed for a minute that CEO Cruella actually was Cindy's mom, which would have explained so much, but I guess not. I wonder what happened to Cindy's real mom. I can't imagine that she's alive and if she is she can't be a kind person to have let her daughter go through what Cindy has. -If Ye Jin is worried about her secret leaking she should be a lot nicer to Seung Chan. I'm just saying, if I didn't want my secret getting out I wouldn't go around bullying and threatening the one person that knew it. -The fact that Ye Jin doesn't think she should have to pay for the damage she did to Seung Chan's car or that it's optional. How arrogant! -I have to say I don't care for this blurry camera thing the new director is doing. -Didn't Ye Jin already ban Cindy from Music Bank? Why are they so surprised she won't let her on then? And I don't feel bad for Ye Jin at all that they didn't come to apologize. She shouldn't tell someone that they can't be on the show if she's not prepared for the idea that they might accept that as fact. -Cindy has some weird conditions, but are they her conditions or are they her CEO's? After all she did eat the soup that Joon Mo bought for her. -PD Tae Ho is actually a really cool guy and completely underrated. I love how the chapters in his book are related to each episode. Is he really a PD genius and no one's realized it? -Isn't Seung Chan's reaction to being called handsome the most adorable thing? Then he goes and practices being handsome in the mirror. Lol. -Cindy is one smart girl. You can't put all your eggs in one basket. Playing both PDs is a good way to go. -Ye Jin and Seung Chan both have each other pegged. So cute. I hope they become best friends. -I just want to reiterate, if Ye Jin and Joon Mo don't get togehter. I'm going to riot. It's not going to be pretty. They have so much chemistry and are so considerate of one another. -My second Producer OTP is Cindy and Seung Chan. They are the perfect balance to each other. I think they'd be so cute and so perfect together. She just wants someone to see the real her. She's practically begging for it and he's very honest and sincere. -Who is that kid Seung Chan keeps talking to at station. Is he some sort of PD Fairy Godmother? -When Joon Mo says "I'm always worried about you", I may have almost cried. Lol. -I really like Cindy's relationship with her manager. She super honest with him and he's not really as scared of her as he should be. They're cute. -Dara's cameo! She's the queen, but isn't she more prestigious than Suzy? Shouldn't she have been the top star? Well, she is in my opinion. -Why do they play this game of choosing a girl/guy. I hate it. In one way or another someone always ends up feeling bad. -CEO Cruella lost her cool a little bit. Lol. Was it just me or did she seem like she genuinely felt bad for Cindy and wasn't just worried about her image? It was probably just my imagination. -Cindy's idea to pair up with Seung Chan instead of the idols is really smart. What a great idea! Seung Chan is not being very smart. How could he choose rock instead of paper? How could he let her carry his bag? He's just a bit too naive sometimes. I know he didn't do it maliciously. -Ye Jin and her brother are sweet. I love good sibling relationships in dramas, because I have good relationships with my siblings so that's something I like to see reflected in fiction. Not all siblings hate each other. In fact most don't. Alright, so there you have it. I've purged all my thoughts. If you've been following along with the Drama Club expect a new post out tomorrow. We'll be talking about romance potential. Ooo la la. Lol. Catch up on my previous Producer posts below and enjoy the rest of the holiday weekend!